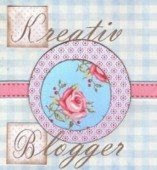 Dori Ann of Danes and Things has done me the honor of saying I'm a "Kreativ Blogger"! 1. Mention the blog that gave you the award & comment on their blog when you post the award. 2. List 6 things you VALUE & 6 things you DON'T VALUE. 3. Then, pass the award on to 6 other blog buddies! Who to pass this on to... I am not going to ask anyone else to pass this on, so if your blog is mentioned, you are under no obligation to do so. Willow's Rest: The stories of her (and her dogs/sheep) exploits and opinions never bore me! Sheep Thrills: Always a good read, never a dull moment! Older Rose: Soooo talented! AND she LOVES her tunis sheep! Desert Peach: Beautiful person, gorgeous sheep, and a talented hand at dying! In Stitches: Educated and entertaining, I feel like I've known you forever. Purple Fuzzy Mittens: Talent with a camera as I have not personally known before, witty and tireless! I have been slow to blog this week as we've been getting sheep ready to go to new homes and then I had Shadow come down with "something" yesterday neccessitating an emergency trip to a vet - they thought it was a UT problem, but I'm not so sure. Poor cat! Thanks here too! Just haven't done anything about putting it on my own blog.